City and Colour will be performing at the Bell Centre, in Montreal, on June 20th 2016. 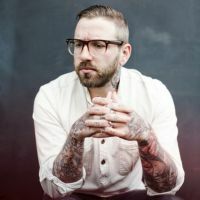 City and Colour have 5 albums in their discography: Sometimes (2005), Bring Me Your Love (2008), Little Hell (2011), The Hurry and the Harm (2013), and If I Should Go Before You (2015). Formed by former Alexisonfire member Dallas Green, City and Colour gained major popularity with its unique brand of sentimental folk music, which is now getting some new blues-rock flavours on the latest album. 17 months after his memorable solo show at Symphony Hall, Dallas Green will be performing with Shakey Graves in Montreal this time. Don't miss it ! Be the first informed if we receive new tickets for City and Colour. You will than get a priority choice in our tickets inventory. Enroll yourself to our priority waiting list for City and Colour to be alerted when new tickets are available. Filling this form doesn't engage you to any purchase. 2Tickets.ca acts as a third party and is in no way associated with City and Colour.